When can puppies go outside safely, for walks or to meet other dogs? Puppies can go outside in public places when they are fully protected by their immunizations at about 16 weeks old. In the meantime, you will still need to socialize your puppy and to arrange for them to meet other vaccinated dogs. Can I take my puppy out after first vaccinations? When can you take your puppy out in public? Can I take my 8 week old puppy outside? When can my puppy be around other dogs? All puppies need to be socialized in order to prevent them becoming fearful and unfriendly. So you can’t keep your puppy shut away from the world for those sixteen weeks. Socializing a puppy that is not yet immune to serious diseases needs to be done carefully. And you need to take proper precautions to prevent your puppy being infected. Keeping your puppy off the ground where other dogs have peed or pooped and avoiding strange dogs that may be unvaccinated is crucial. Let’s look at this important topic in more detail. There are some links to related articles in the green box. In this article, we look at finding a balance between puppy vaccination safety and socialization. How can I take my puppy out safely? When can my puppy go to puppy class? Can my new puppy go in the yard or garden? When can I take my puppy for a walk? How can I socialize my puppy at home? When can I take my puppy out – the compromise? This information can help you choose the right time to take your Lab puppy out into the big wide world. When you bring your new puppy home, you’ll be looking forward to showing her off to friends and family and taking her out for walks. But at 8 weeks old, they are not ready yet. Although you may have been given conflicting advice. You may have been told to keep your puppy at home until after her vaccinations are complete at about 15-16 weeks old. 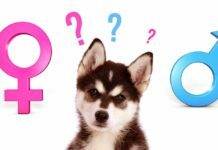 Complicating matters, you may also have been told that outings are vital for socialization and that these outings need to happen before your puppy is 13 weeks old. Obviously, you can’t follow both pieces of advice at the same time. Don’t worry, there is a solution. We’ll talk about that in a moment. First, let’s look at the vaccination and socialization issues. There are two main reasons that puppy owners want to get out and about with their puppies. First, they know it’s important for puppy socialization. Second, taking a puppy out is fun! You didn’t get a puppy to sit at home with her for several weeks. You want to show her off and include her in family outings. So, it’s frustrating to be told you need to keep her at home until she is fully covered by vaccinations. Why Do Puppies Have to Stay at Home? Many vets and breeders advise keeping your puppy home until after the vaccinations have taken effect to protect her from infectious diseases. You can find out all about your puppy’s vaccination schedule in our FAQ here. Vets often tell owners to keep their puppy at home until one week after the final vaccination. And not without good cause—your puppy won’t have full immunity against disease until that point. Puppies are vulnerable to infection. Regular outbreaks of parvovirus still occur in most parts of the world. And parvovirus kills, especially puppies. Not to mention all the other dog diseases that are still prevalent in many countries. However, there is a problem with the traditional advice to keep your puppy at home until vaccinations are complete. Lack of socialization kills puppies too. We’ll look at that in more detail in a moment. First, let’s look at how puppies catch diseases. This information is important to keep your puppy safe. How Do Puppies Catch Diseases? Puppies can’t catch diseases from you or your family because most germs that can infect a dog can’t infect humans, and vice versa. However, your puppy can catch diseases from other dogs. And other dogs don’t need to appear sick in order to be contagious and make your puppy ill. The other dog could be a carrier (a dog that can infect other dogs without becoming ill). Or the other dog could be incubating a disease and not yet showing symptoms. 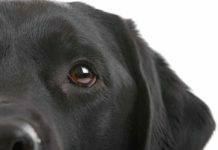 More importantly, your puppy can catch some diseases by sniffing or licking where an infected dog has urinated or defecated. And we all know how dogs like to sniff and lick at things on the ground. So, your puppy is at risk from exposure to unvaccinated dogs and pee and poop from an infected dog. Let’s keep these risks in mind. Increasingly, experts are recommending taking your puppy out right from the day you bring her home but under strict conditions. If you decide to take your puppy out visiting before she’s had all her shots, you’ll need to follow the safety guidelines below. Why Do New Puppies Need to Go Out? You may be wondering what the fuss is about and why puppies need to go out before their vaccinations are complete. If other dogs and places they have pooped are so risky, why take a puppy out at all? It might seem a lot easier just to keep puppy home for a few weeks, especially once she starts to get heavy. After all, carrying a 22-pound puppy is no joke! But here’s the problem. Many dogs die every year because they become aggressive. Their owners have to make the heart-breaking and terrible decision to have them put to sleep. Dogs bite millions of people every year. Letter carriers are attacked, guide dogs are attacked, and many children are bitten. Each year, about a dozen people die as a result of dog attacks. And hundreds, if not thousands, of dogs are destroyed because of aggressive behavior. Most of these sad situations could be avoided. Clearly, aggression in dogs is a problem both for the dogs and the people that they bite. We now know a great way to prevent aggression in most dogs if we start when they are puppies. The simple fact is that almost all dog bites are caused by fear. Confident, friendly dogs don’t bite people. So, one of the best things you can do for your dog is to bring her up to be confident and friendly. And the way dogs become friendly is through a process called socialization. “All labs are friendly” you might say, but this just isn’t true. Tiny puppies normally love everyone. They are happy to be cuddled and petted by anyone who happens to be passing. That changes before they are three months old. Nature designed puppies to become fearful of strange objects, people, animals and situations. This happens once they are capable of exploring alone, at around four months of age. That fearfulness was a good strategy in the wolves from which our dogs descended. They lived in a world where strangers might view a puppy as a snack. For that reason, most wild animals are nervous of strangers in this way. Fearfulness is not good for a dog living in modern human society. A poorly socialized puppy will love his family and close friends, but he will consider the rest of the world to be a threat. Dogs that feel threatened are likely to become aggressive and even to bite. 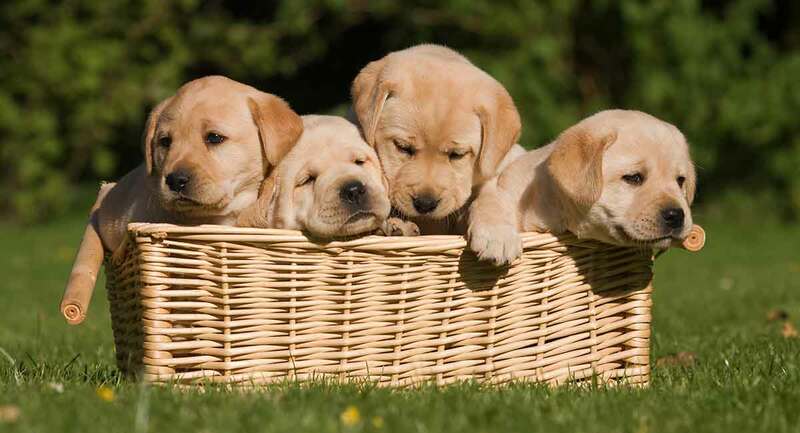 Many puppies, even lovely Labrador puppies, lose their love of strangers between eight and ten weeks old unless they are socialized. By thirteen weeks, a Lab that has been kept at home will be nervous of strangers. He will be anxious in situations he hasn’t come across before. The more people and places your puppy experiences in the first twelve weeks of life, the less likely she is to be fearful. Poorly socialized dogs are often aggressive, and aggression tends to buy a dog a one-way ticket to the pound. 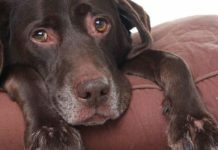 If you have a reactive or aggressive dog, you can find out more about dealing with this issue here. Some dogs need more socializing than others. Temperaments vary, and it is not possible to be sure what temperament your dog has inherited at this stage. 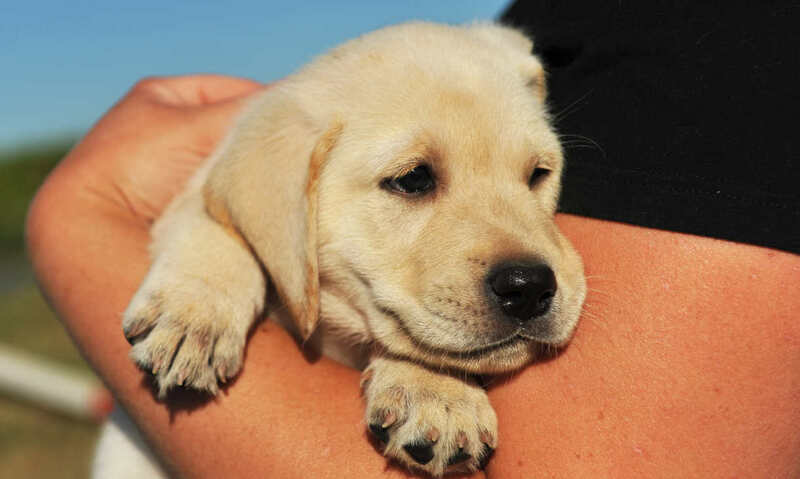 Almost all eight-week-old puppies that have been raised responsibly will appear friendly. Don’t be lulled into a false sense of security by this. This is not an indicator of how friendly they will be in the future. Deliberate and extensive socialization is the only way to be as sure as you can be that your dog will be free from fearfulness and the aggression that often results. Whether you carry your puppy everywhere or to risk putting her down on the ground, time is short. So you need to plan your puppy’s socialization and execute the plan quickly and with determination. It isn’t difficult, and you’ll find instructions here. How to socialize your puppy. The opportunity for socialization is all but over by the time the initial vaccination cycle is complete. 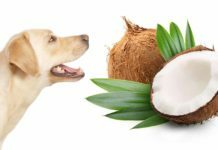 Which is the greater risk to your puppy? Disease or aggression? And what is the answer? We’ll look at that in a moment, but first, what are the alternatives? Can I Socialize my Puppy at Home? In the past, when most vets recommended that puppies stay home for their first thirteen weeks, some owners tried to socialize their puppies at home. Socializing your puppy at home is important, but it is not a replacement for socialization out in the world. Inviting dozens of different people to your home during the weeks that your puppy is between eight and twelve weeks old isn’t practical. You couldn’t cover all the possibilities. It’s important for your puppy to meet a wide variety of people. That includes people in wheelchairs and in uniforms, old people and children of different ages, especially small children. Your puppy needs to meet people of different ethnicities, people in strange hats, people with loud voices, large men, cuddly people and much more than this. In addition, your puppy needs to experience the sights, scents and sounds of trains, trucks and buses. She needs to hear the wind blow and feel the rain in her face. In short, you must expose your puppy to all aspects of the hurly-burly of our human world. You simply cannot bring the whole world into your living room. To secure a safe future for your puppy, you need to take her out as much as you can during those crucial weeks of life. If puppies need to go out to be socialized and stay home to be safe from disease, what’s a puppy parent supposed to do? When can puppies go outside safely? The answer is usually a compromise of the two. Veterinarians focus on your dog’s health, and some still recommend keeping your puppy home until she is fourteen weeks old or so. As they have become aware of the risks of poor socialization, canine behaviorists, trainers and breeders increasingly recommend that owners take puppies out from an early age. The consensus is that the risk of poor socialization outweighs the risks of disease. It isn’t an easy decision to make, especially if your vet takes the more traditional view. Compromise is increasingly becoming the norm. It’s best to take your puppy out and about, right from the time you bring her home. And it is essential that you do this in a way that minimizes the risks to your puppy. So if your puppy needs to go out into the world, how can you make sure she doesn’t catch some nasty disease? When can I take my puppy out in public? You can take your puppy out in public as soon as you are confident that they are protected against disease. 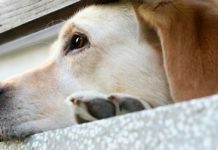 Either from direct contact with other dogs or through contact with their urine, feces or surfaces where these have been. If you take your puppy out in public, and many experts now believe that you should, then you need to take precautions. You must not simply put her down on the ground and let her take her chances. She can’t meet other potentially unvaccinated dogs until she is vaccinated herself. Here are do’s and don’ts to minimize the risks of your puppy becoming infected while you help her discover that the world is a friendly place. DO consider letting your puppy attend a well-supervised puppy class if all puppies attending have had their first vaccinations. This is especially important if you have no friends with vaccinated dogs for her to meet. Are there risks in this approach? Probably, but in most locations in Europe and North America, these risks are small. Labrador puppies get heavy quickly. For outings where you cannot put the puppy down, a lot of people use a shoulder bag to carry the puppy. This takes the strain off your back and leaves your hands free. You can buy designer backpacks to carry small dogs, and some Lab puppies will fit in them for a week or two. 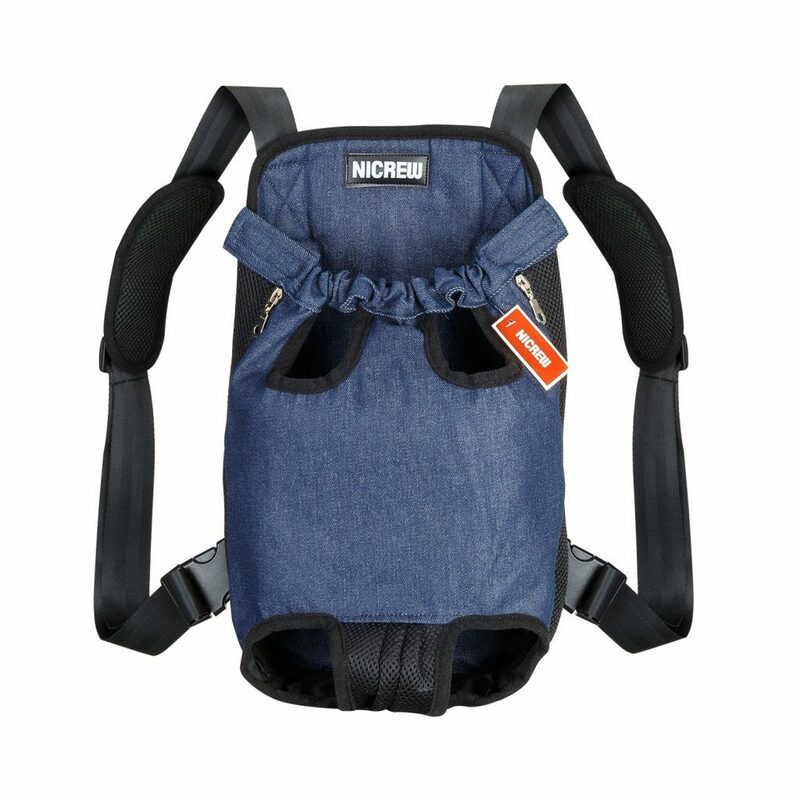 The XL version of the Nicrew backpack pictured near the beginning of the article claims to hold pups up dogs up to 22 pounds. If your pup is average to large for her age, you’ll probably need to improvise with a large shoulder bag after the first couple of weeks. 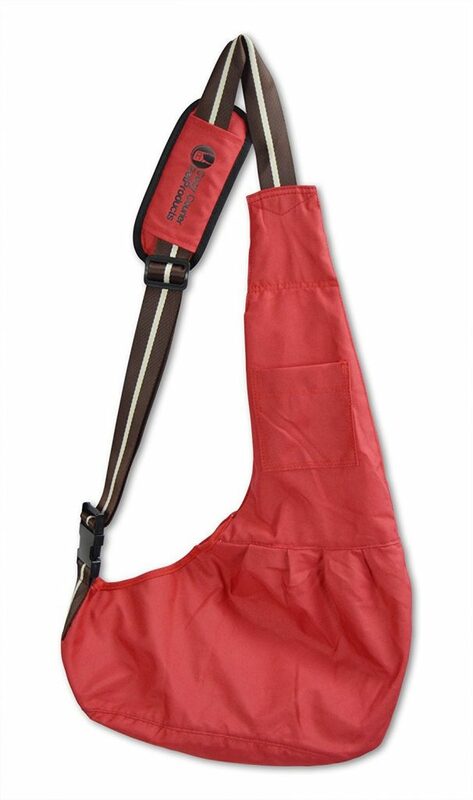 Or you may be able to find a sling, like the one below, that will fit your pup. They all vary, so check the sizes and measure your puppy carefully. When Can my Puppy Start Puppy Class? Check with your vet, but in many areas, puppy classes will take puppies after their first set of vaccinations. A study published in the Journal of the American Animal Hospital Association in spring 2013 looked at the frequency of parvovirus in puppies that attended puppy classes compared with puppies that did not. The puppies had all had their first vaccination (which can be done at eight weeks) but were not fully immunized. Researchers found no increase in the risk of parvo in puppies going to class compared to stay at home puppies. This is heartening information. It also supports the view that careful and appropriate socialization does not increase the risk of catching this unpleasant, and often fatal, disease. When Can I Take my Puppy Out in the Yard? When can puppies go outside at home? We talked about the need to carry your puppy and keep her off the ground. But what about at home on your own property? 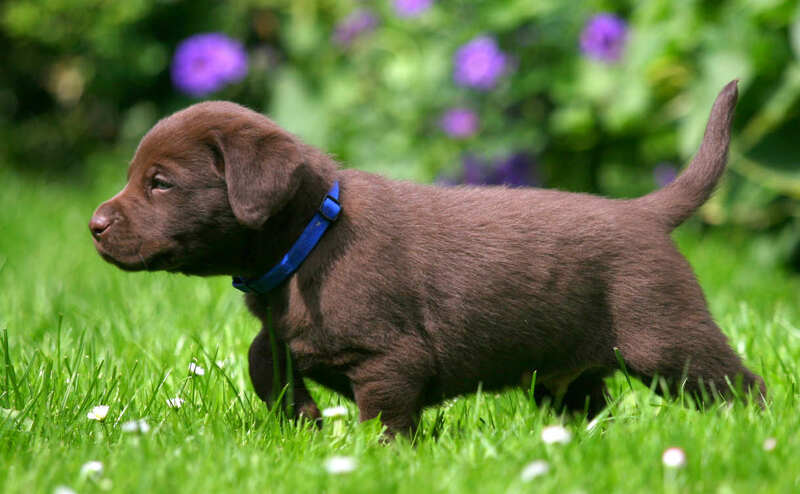 Pet owners may be concerned about letting their Labrador puppy out into their own yard before vaccinations are complete. They have been told on the one hand to take the puppy outside often for potty training. But on the other hand, not to put the puppy on the ground in case she catches something. No wonder they’re confused and worried! This is especially true of people that know or suspect that wild animals enter their property at night. Can Wild Animals Infect my New Puppy? The disease that most dog owners are concerned about is Canine Parvovirus. In the UK, for example, foxes are susceptible to this disease and the virus can survive for some time in infected feces. So there is a possibility, however remote, that a sick fox could defecate where a puppy plays and that puppy could be contaminated by contact with the fox poop. 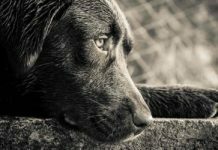 While no one can guarantee your puppy won’t get sick from the feces of a wild animal in your yard, it is important to keep this in perspective. Risks vary depending on where you live, but for most of us, they are low. And they need to be balanced against the risks of keeping your puppy isolated indoors until her vaccinations are complete. Talk to your vet, and listen to any information they have about risks in your location. If there is an epidemic among local wildlife, you may need to take extra precautions. But in most cases, this won’t apply to your puppy. Your vet may be more concerned about the current risk of parvovirus than by the potential future risk of the dog biting someone. But you need to weigh the risk of your puppy catching parvovirus in the backyard against the risk of not socializing her until vaccinations are complete. Those risks are poor socialization, less fun, and slower progress with both potty training and recall training. Raised in the sterile and controlled environment of your kitchen, your puppy may be fearful when exposed to wind and rain. She will be unfamiliar with the feel of grass, sunshine and soil. The sounds of birds singing and airplanes overhead may be frightening. Not to mention all the other delights and thrills of being outside. Being outside is an important part of early learning and puppies shouldn’t miss out on it. Even if you carry your puppy outside many times a day to experience these things, potty-training progress will be delayed by not being on the ground. 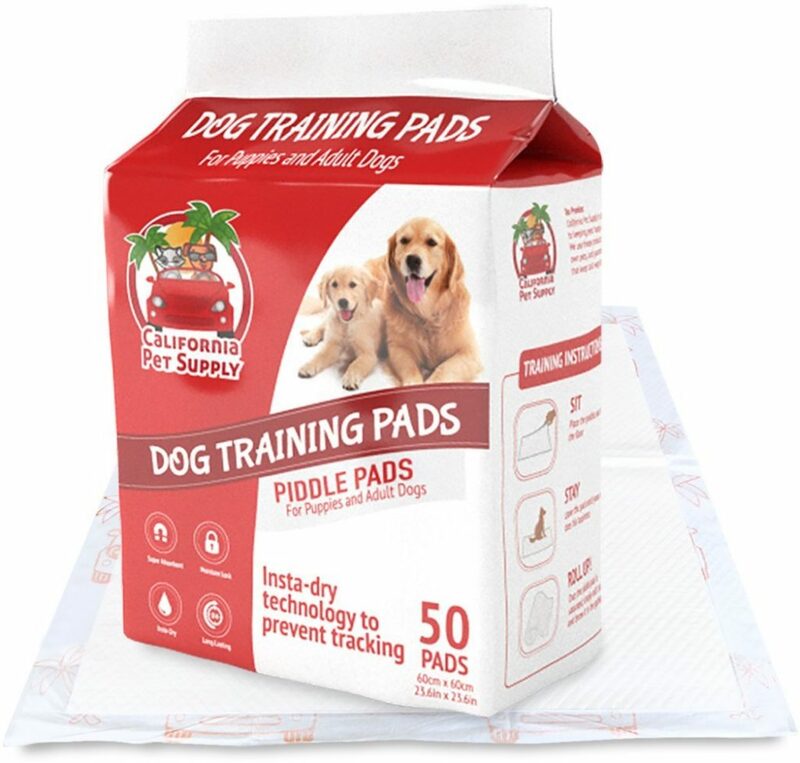 You’ll need to teach her to relieve herself on puppy pads to start. Later, you’ll have to teach her all over again to relieve herself in the yard. This may be inevitable if you go out to work, but if you can, you’ll both benefit from teaching her to pee and poop outdoors from the start. Early recall training involves moving away from your puppy while she trots after you. Getting your puppy to follow you is the basis of more formal recall training that you will be doing later on. It’s important to get your puppy following you around in different outdoor locations while she’s small if you can. This will put you in good stead later when she is more independent. Your garden or yard is the ideal place to begin this practice. There is a small risk with putting your puppy down in your backyard, just as there is a risk in living. Most dog owners feel that this risk is an acceptable one. The payoff of a normal, healthy puppy upbringing during those vulnerable weeks is worthwhile. For these reasons, the majority of puppy owners allow their puppies in the yard from their first days at home. If you live in a high-risk area and cannot do this, it is important to carry your puppy out as often as you can and in different types of weather. When Can I Take Puppy for a Walk? In most cases, you can start putting your puppy on the ground in public one week after her final shots. Check with your vet though, different vaccines may have different instructions. Make sure your puppy wears a well-fitting harness that she can’t wriggle out of for these early outings. If you don’t have access to private land, you should not take your puppy for walks before she is fully vaccinated. Risk of disease is not the only reason. Puppies do not need nearly as much exercise as older dogs. While we enjoy taking them, small puppies don’t need walks in a formal sense. In fact, many experts feel that excessive exercise and long walks are harmful to small puppies. Getting out and about with your puppy and introducing her to new experiences is important, but making her walk for miles is not a good idea. Experts disagree about when it’s best for a puppy to go out. In the past, vets insisted that puppies should stay home until one week after the puppy has had his final shots. Many older puppy books still recommend this. Keeping puppies at home is a good way to make sure they don’t come into contact with other dogs or their waste products, which can make your puppy sick. However, puppies need to be exposed to a variety of people and experiences to prevent fearfulness and aggression. This socialization process should happen early in a puppy’s life. Some people may still advise keeping your puppy at home, but most experts today recommend getting your puppy out and about, but with care. Some breeders go even further and say that provided the puppy has had its first vaccination, you should take her out and not worry about carrying her. As your puppy gets heavier, this is certainly tempting! If you decide to play it safe and carry your puppy until she is done with her vaccinations, a shoulder bag will help take the strain! Find out more about socializing your puppy in the Puppies section of our website. For a complete guide to raising a healthy and happy puppy, don’t miss The Happy Puppy Handbook. The book will help you prepare your home for the new arrival and get your puppy off to a great start with potty training, socialization and early obedience. When can puppies go outside has been extensively revised and updated for 2019. Serpell J. & Jagoe J.A. “Early experience and the development of behaviour” The Domestic Dog, 1995. Freedman D.G., King J.A. & Elliot O. “Critical period in the social development of dogs” Science, 1961. Duxbury M.M., Jackson J.A., Line S.W., Anderson R.K. “Evaluation of association between retention in the home and attendance at puppy socialization classes” Journal of the American Veterinary Medical Association, 2003. Miller, D.D., et al. “Factors associated with the decision to surrender a pet to an animal shelter” Journal of the American Veterinary Medical Association, 1996. I have a litter of Rottweilers (8)that turned 4 weeks old Wednesday. They’re too young yet for their first shots but my question is…can I put them outside to poop at this age? They’re pooping all over the house and I’m constantly cleaning poop. The Mom doesn’t clean after them anymore. We started them on Puppy food mixed with Milk Supplement so they’re pooping more and big piles. I have a blanket that I put them on which they pee and poop on but I have to steadily clean that plus the rug I have in their cage. So again my question is…can I take them out to poop after they eat at 4 weeks old? Hello! Thank you for this wealth of info! I have an elderly dog who is 11 and he is not up to date on his shots. He would need rabies and the 5 in 1, and we are getting a new puppy sept 8. Will he be ok to meetthe new puppy if we get him his shots this week? Also curious, since dogs in suburban areas tend to do their business in dog parks and such, is it ok usually to put a puppy down to start exploring different areas on cement, sidewalks, grocery store front areas, places were other dog paws may have walked but it’s likely they didn’t poop or pee there. We are trying to figure out a neutral place to let the two dogs meet but can’t put the puppy down in the park! Unless of course we use the sidewalk in the park. Thank you! I’m getting a different breed of dog but was searching everywhere for what to do during those crucial puppy weeks – bring him outside or not? Best article I found on the topic with solid advice. THANK YOU! I just got two chocolate male labradoodles. where i work a hair salon my boss said i can bring them. they are 8 weeks old.. they stay in the office. you eased my mind about things. they are getting socialized. and their is a dog at work fully vaccinated. Can i take my 8 week old husky for a walk hes had first lot of needles? I was wondering, I have a 2mon old pug, can I take him for a walk around the block if I carry him in my arms? Yes Tracey walk him after first week of being born.